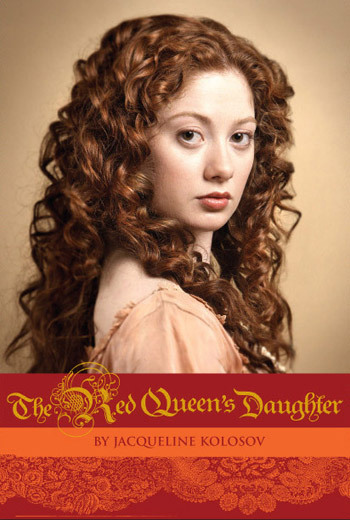 I recently finished The Red Queen’s Daughter, a YA historical with significant fantasy elements. The author is Jacqueline Kolosov. Mary is raised by a mysterious guardian who schools her in becoming a “white magician.” Her ultimate goal will be to assure the safety of Queen Elizabeth. Once Mary arrives at court, the action picks up. Because she is now surrounded by men and women vying for their share of power, Mary must always be on her guard. She first uses her power to help a young lady-in-waiting who is pregnant. Mary is able to marry her to the man she loves and send her away, thus assuring her own place at court. Mary, like the queen, vows never to fall in love and marry. Her own parents did not have a happy marriage; her mother was deeply in love with her father, who was known to be a rogue. But Mary’s attractive and mysterious cousin, Edmund Seymour, seems to hold some power over her. She falls for him, but still fears him. I like the way Kolosov softened Mary as the story went on. She seemed a bit cold and stiff initially, always in control of herself. Her feelings for Edmund change her and allow her to become more receptive to love. Mary learns that things are not always what they seem. In the same vein, she begins to take a different view of her parents’ love for each other. The ending holds out the possibility of a sequel. I for one would like to know more about Mary’s life.